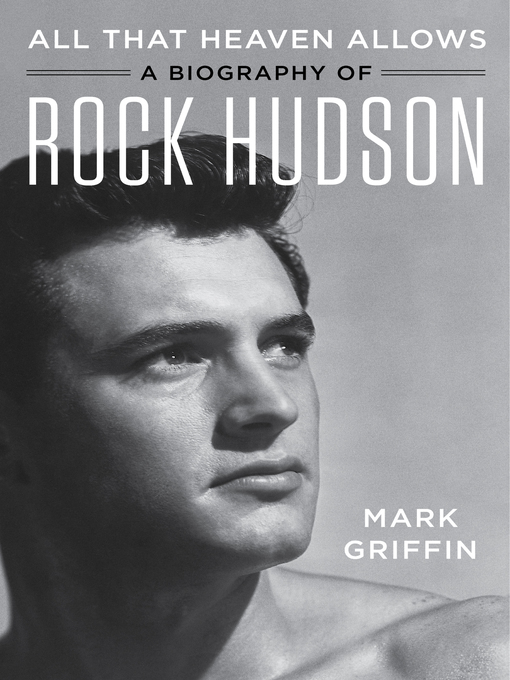 SOON TO BE A MAJOR MOTION PICTUREThe definitive biography of the deeply complex and widely misunderstood matinee idol of Hollywood's Golden Age.Devastatingly handsome, broad-shouldered and clean-cut, Rock Hudson was the ultimate movie star. The embodiment of romantic masculinity in American film throughout the '50s and '60s, Hudson reigned supreme as the king of Hollywood.As an Oscar-nominated leading man, Hudson won acclaim for his performances in glossy melodramas (Magnificent Obsession), western epics (Giant) and blockbuster bedroom farces (Pillow Talk). In the '70s and '80s, Hudson successfully transitioned to television; his long-running series McMillan & Wife and a recurring role on Dynasty introduced him to a whole new generation of fans.The icon worshipped by moviegoers and beloved by his colleagues appeared to have it all. Yet beneath the suave and commanding star persona, there was an insecure, deeply conflicted, and all too vulnerable human being. Growing up poor in Winnetka, Illinois, Hudson was abandoned by his biological father, abused by an alcoholic stepfather, and controlled by his domineering mother.Despite seemingly insurmountable obstacles, Hudson was determined to become an actor at all costs. After signing with the powerful but predatory agent Henry Willson, the young hopeful was transformed from a clumsy, tongue-tied truck driver into Universal Studio's resident Adonis. In a more conservative era, Hudson's wholesome, straight arrow screen image was at odds with his closeted homosexuality.As a result of his gay relationships and clandestine affairs, Hudson was continually threatened with public exposure, not only by scandal sheets like Confidential but by a number of his own partners. For years, Hudson dodged questions concerning his private life, but in 1985 the public learned that the actor was battling AIDS. The disclosure that such a revered public figure had contracted the illness focused worldwide attention on the epidemic.Drawing on more than 100 interviews with co-stars, family members and former companions, All That Heaven Allows finally delivers a complete and nuanced portrait of one of the most fascinating stars in cinema history.Author Mark Griffin provides new details concerning Hudson's troubled relationships with wife Phyllis Gates and boyfriend Marc Christian. And here, for the first time, is an in-depth exploration of Hudson's classic films, including Written on the Wind, A Farewell to Arms, and the cult favorite Seconds. With unprecedented access to private journals, personal correspondence, and production files, Griffin pays homage to the idol whose life and death had a lasting impact on American culture.